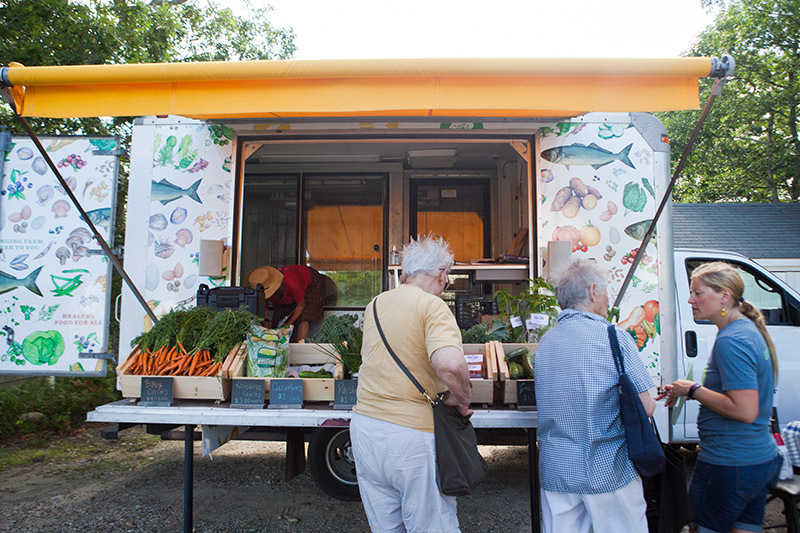 A mobile market on Island seeks to bring fresh produce and fruits to low-income communities. 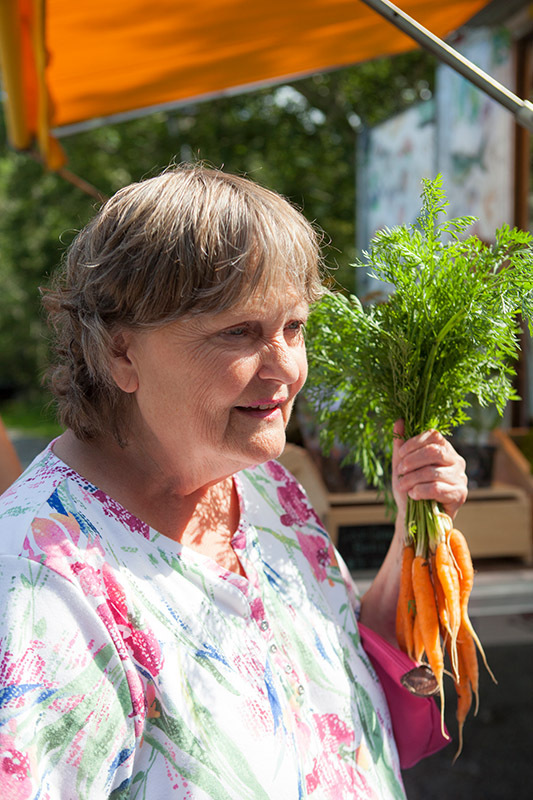 Anne Sylvester pushes her walker toward the table and snatches a bundle of carrots with a smile. A man wearing a veteran’s hat hangs a few feet back from the row of produce, cracking jokes, while a chattering group of ladies huddle around the zucchini and summer squash — one woman bats the air in dismissal of strawberry prices, while another on her left bends over cartons, examining and smiling. 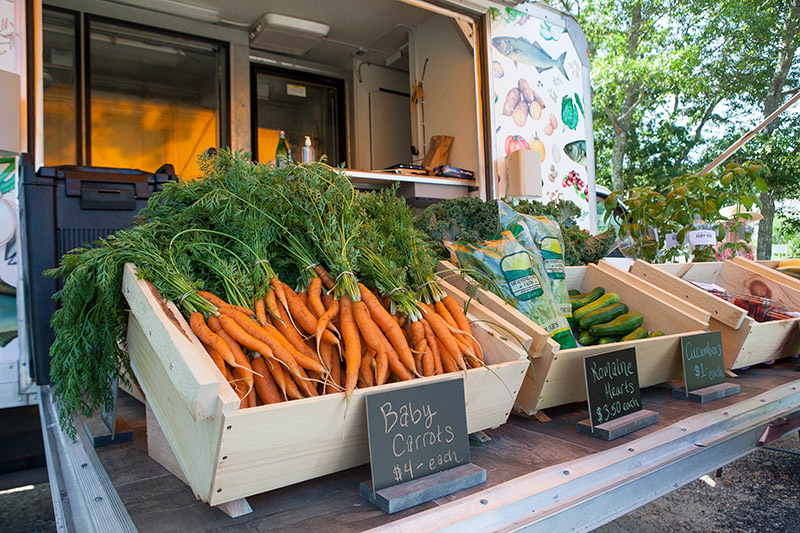 The Island Grown Initiative launched a mobile market this summer. 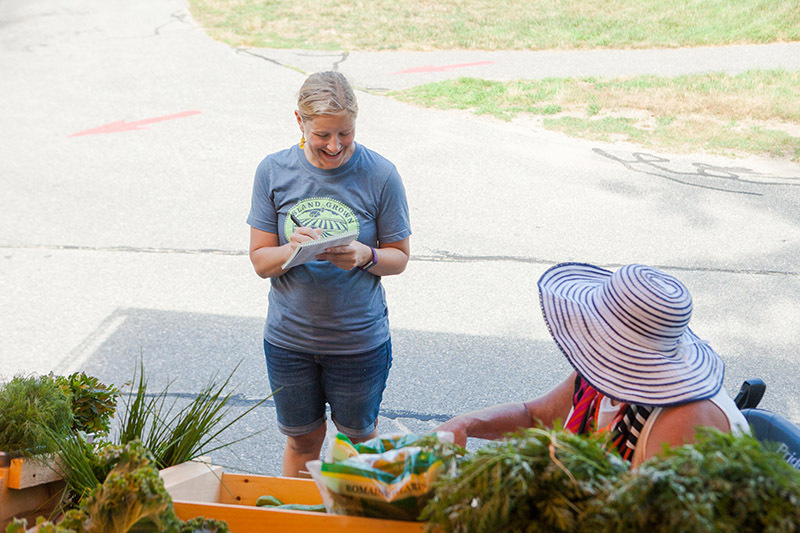 Stocked with locally grown fruits and vegetables, the market parks at low-income, disabled, and elderly neighborhoods in an effort to expand access to healthy foods in these communities. 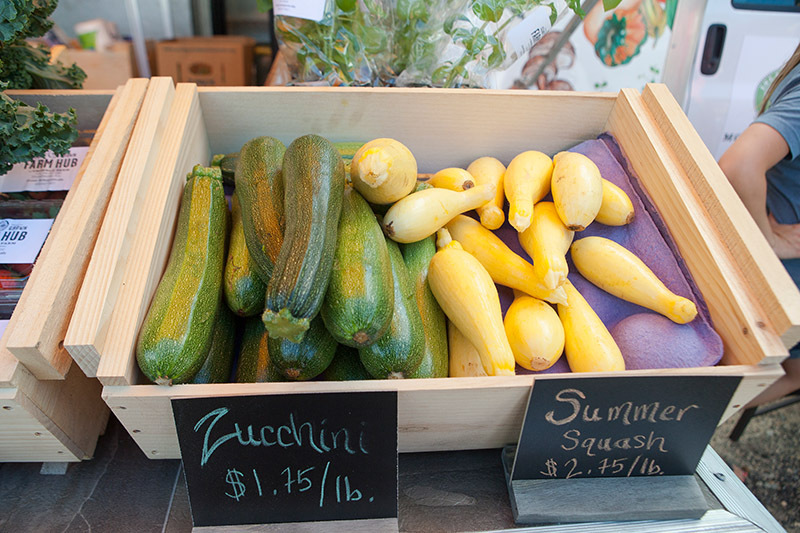 Anyone can shop here — the market accepts SNAP, WIC, and Senior farmers’ market nutrition program coupons. 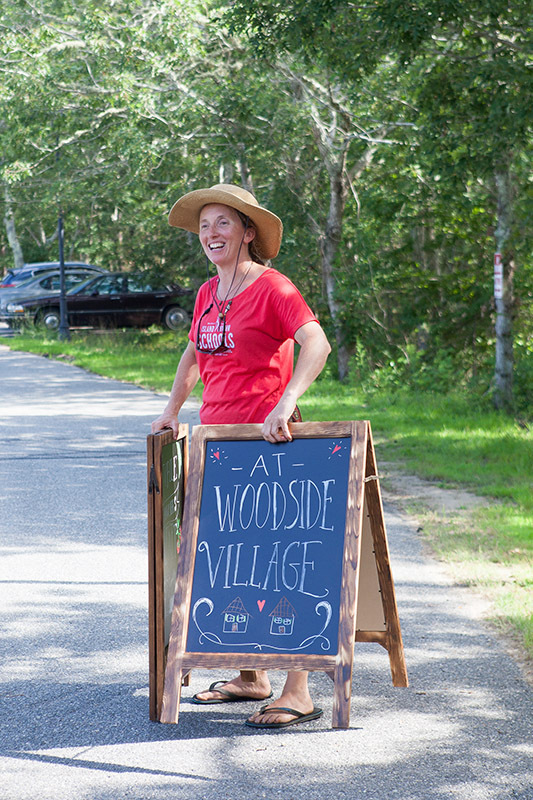 “One of the big motivators was that there’s this new program in Massachusetts called Healthy Incentives Program,” Sophie Abrams, food equity and recovery director of Island Grown Initiative, said. Access and affordability tend to be big hindrances to buying farm fresh produce, but in April SNAP introduced the Healthy Incentives Program. 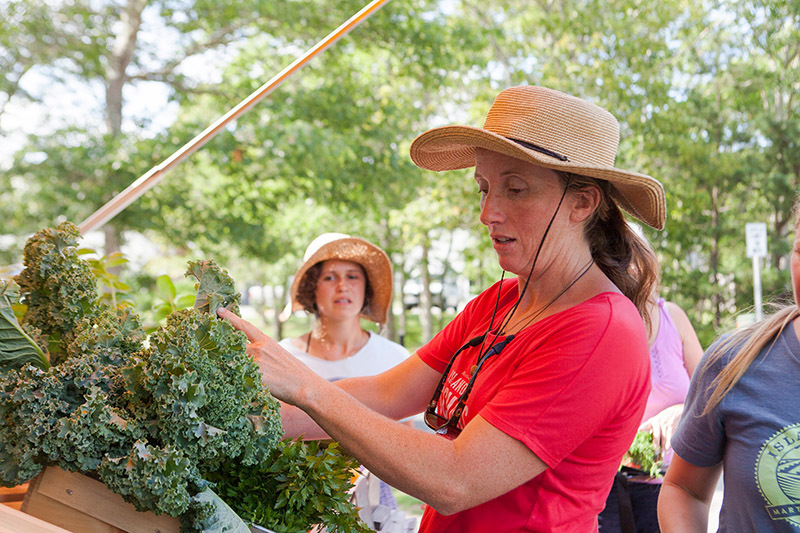 The program matches purchases at farm stands, farmers markets, mobile markets, and farm share programs. It happens instantly — dollar for dollar credited to a buyer’s EBT card. The incentive program has a monthly cap based on household size, but the program compensates up to $80 a month. “In some ways, these are like free vegetables for people in need,” Rebecca Haag, executive director of Island Grown Initiative, said. 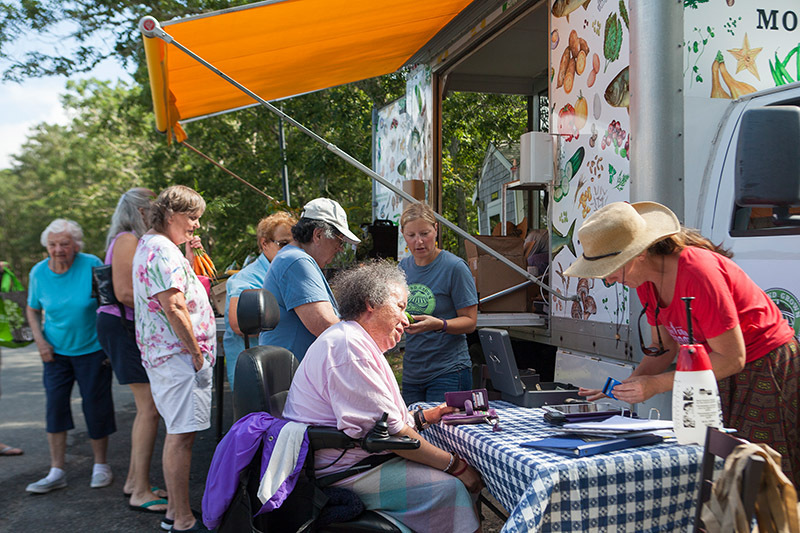 A grant aided some of the start-up costs for the mobile market — this summer is the first of three planned for the pilot program. Ms. Abrams said she thought the first day went well; they had 30-plus customers. 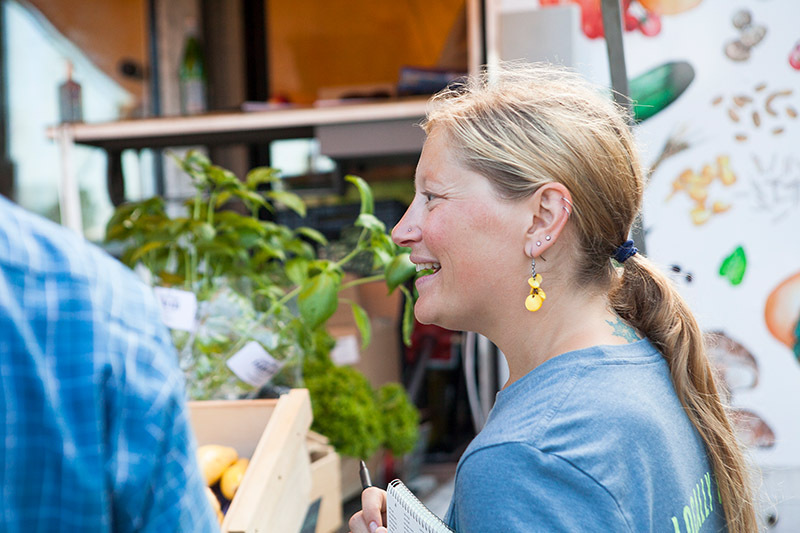 Running through Columbus Day, this season the mobile market will stick to fruits and vegetables. 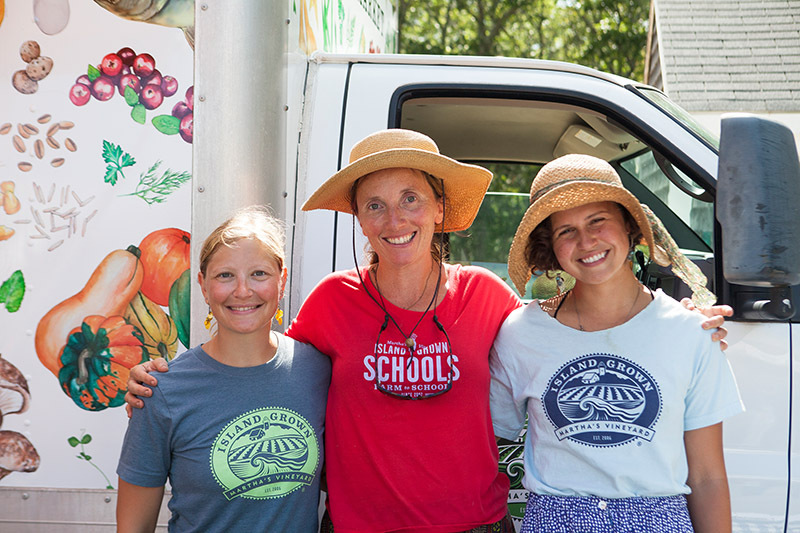 They hope to expand by offering eggs, dairy, and locally prepared food at the market. 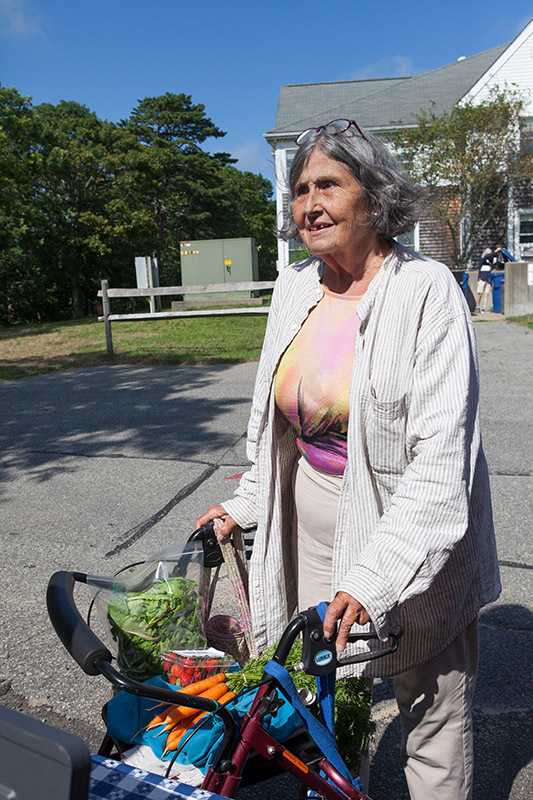 A handful of residents at Woodside Village in Vineyard Haven anticipated the arrival of the mobile market all week. They mentioned feeling relieved that they were spending their time outside at the market with neighbors rather than struck in summer traffic. “Once everyone knows it’s here, they’ll start looking for it. A lot of them were waiting an hour ago,” resident Vicki Kennedy said. 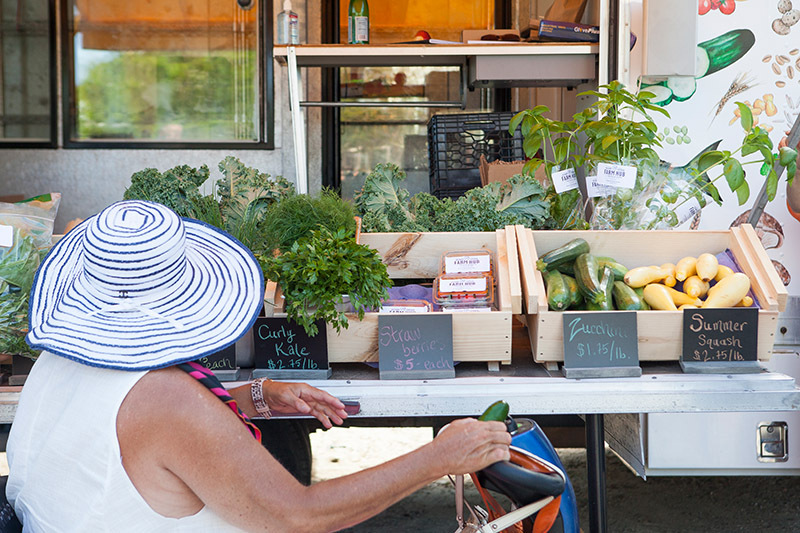 Produce comes from farms on Island, and is kept fresh by the refrigerated truck. Distributing perishable foods can be difficult for food assistance organizations, because if a distribution center is at a church, it likely lacks the storage needed to keep the food fresh. Betty Burton, director at another local food distribution center, Serving Hands, has made it part of her mission to distribute fresh food — the organization no longer brings in canned foods. They’re able to do this because twice a month, Adam Bresnick from Island Food Products stops at the Greater Boston Food Bank. He picks up the food in the company’s refrigerated truck, bringing it back to for Serving Hands. “The senior centers, the people who do the community centers in the winter, they couldn’t do that without him,” Ms. Burton said. Mobile markets are growing in popularity, Ms. Abrams says, noting that they used a truck in Somerville as their reference.